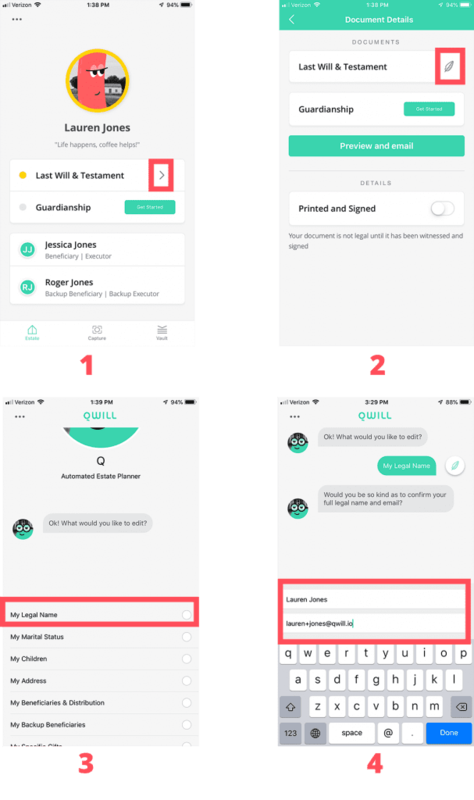 1) In the Will chat flow, Q (our chatbot) will ask you to confirm your contact info, you can change your email address there. 2) If you have already created you will, you can edit your will and contact details from the Estate Page by clicking the Last Will & Testament, selecting the quill icon, and choosing to edit your “Legal Name”. The Legal Name category includes access to edit your email address. See screenshots below for guidance.